A water soluble fixative for use in exfoliative cytology. 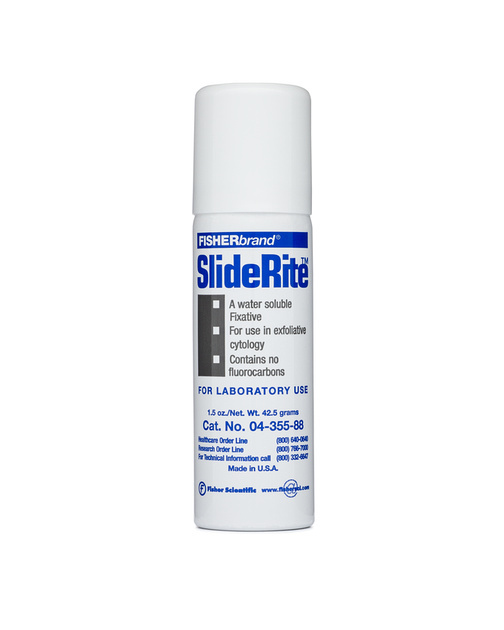 SlideRite’s highly concentrated spray forms a clear protective coating over specimens and fixates cells immediately. Using SlideRite™ will protect samples during transporting and while in storage. Product dries in as little as 5 minutes.